Check out another hot toy review for this holiday season with our Hamsters in a House Food Frenzy Burger Diner Video Review below. 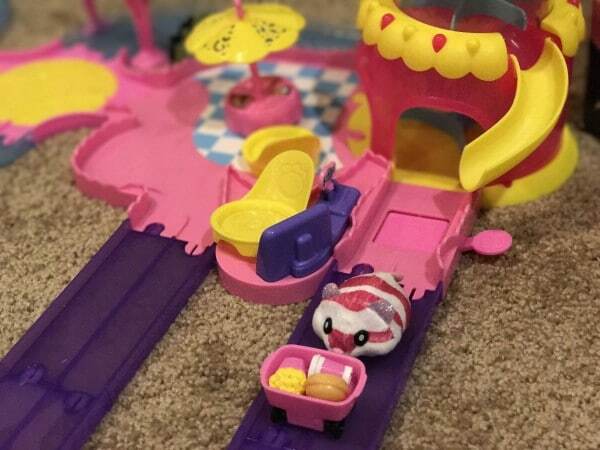 Kiddos will adore these tiny little hamsters that hustle, bustle and zoom around their very own playsets. Hamsters in a House just launched 11 more fun hamsters to collect for their new fun Food Frenzy collection. Below we received the Food Frenzy Burger Diner to toy around with and demo for everyone. Take a peek as our little mini hamster grabs a burger and shake at his drive through diner! So cute and fun! As you can tell in our video our kitty Stitch has taken a real liking and fascination with our Hamsters in a House too! Ha! Visit HamstersinaHouse.com to learn more official product details. 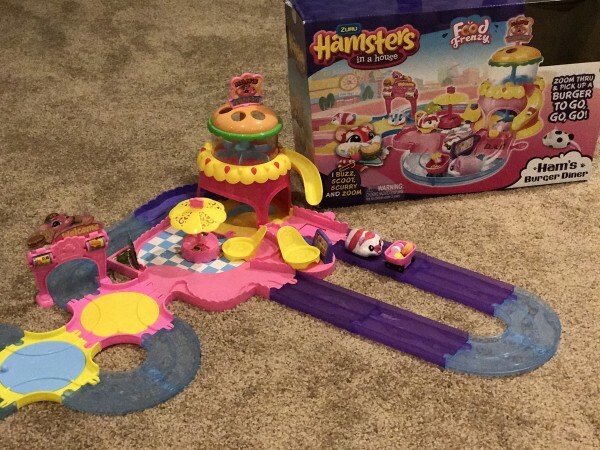 Hamsters in a House offers lots of various tracks that you can connect together which is perfect for kids who love imaginative play. 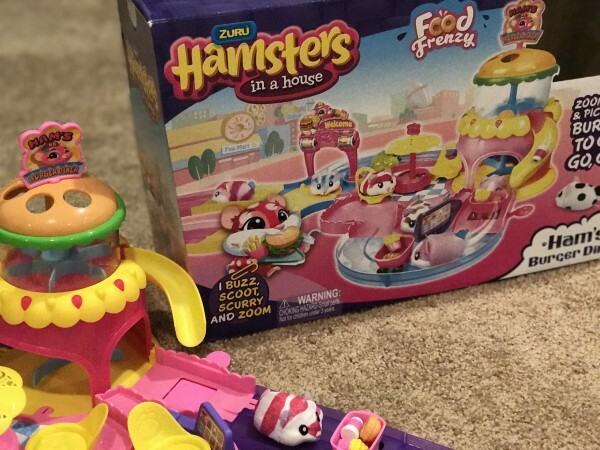 Design your own combinations with the original Hamsters in a House play sets and the new Food Frenzy collection as these all will work together and continue to connect. Yay! Available at Target, Toys R Us, and Amazon. Note: Thanks to ZuruToys for sending us these samples to facilitate a sponsored video review with my daughter Kenzie. As always, all thoughts and opinions are our own. This is extremely fast and organized for the users and especially who don’t know the use of bing rewards. For the use of management, you also should look at these wonderful options which are known as the fastest online browser.